Mangaluru, May 17, 2018: The Swachh Survekshan-2018 results that minister for housing and urban affairs Hardeep Puri announced on May 16, Wednesday brought good tidings for Karnataka. 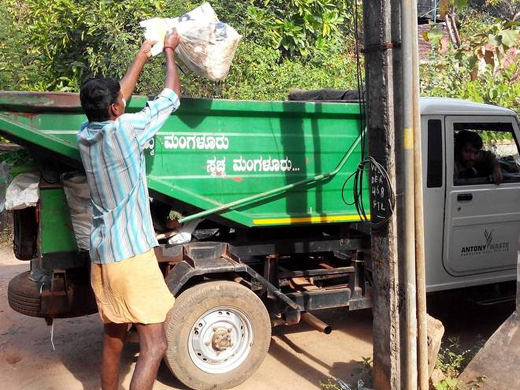 While Mysuru was adjudged India’s cleanest medium city with a population of 3-10 lakh, Namma Kudla was adjudged India’s best city in solid waste management in the same population bracket, and Hunsur, was adjudged the best city in solid waste management (SWM) in south zone with a population of less than 1 lakh. The Swachh Survekshan-2018 assessed 4,203 urban local bodies and was organized by the ministry of housing and urban affairs (MoHUA), under the aegis of the Swachh Bharat Mission (Urban). The on-field survey for Swachh Survekshan-2018 was conducted by an independent agency appointed by the MoHUA, and the data for ranking of cities collected from three sources—service level progress, direct observation and citizen’s feedback. While service level progress verified if systems and processes were in place in ULBsto implement the Swachh Bharat Mission (urban) in the most efficient way, direct observation verified and assessed general cleanliness in cities by making random field visits in different parts of the city and public conveniences, including community/public toilets. Citizens’ feedback was collected directly from citizens and monitored performance of the Swachhata App. Cities having population of 1 lakh and more and capital cities were ranked at national level and cities with population of less than 1 lakh were ranked at zonal level – north, south, east, west and northeast. Based on performance in Swacch Survekshan-2018, it was decided to confer awards to 29 cities/cantonment boards at the national level, 20 cities at the zonal level and 3 states having the best performance in urban areas, the ministry stated in an communiqué.